2200 Westlake Dentistry (Seattle) - Book Appointment Online! We would love to welcome you to our practice! 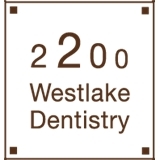 At 2200 Westlake Dentistry we truly love what we do and take pride in providing the highest quality of care to every patient. Giving the utmost attention to comfort in a spa like atmosphere sets us apart from the typical dental practice. Give us a call or schedule your appointment online today -- we would love to meet you! We are happy to welcome back Dr. Singh from her maternity leave on November 6th. The professional, Natasha, who treated me was super nice and answered all my questions. Doc Bridget looked at the reports and scheduled some next appointments. Overall, my first positive Dental experience! Highly recommended.